Größe dieser Vorschau: 530 × 454 Pixel. Weitere Auflösung: 280 × 240 Pixel. 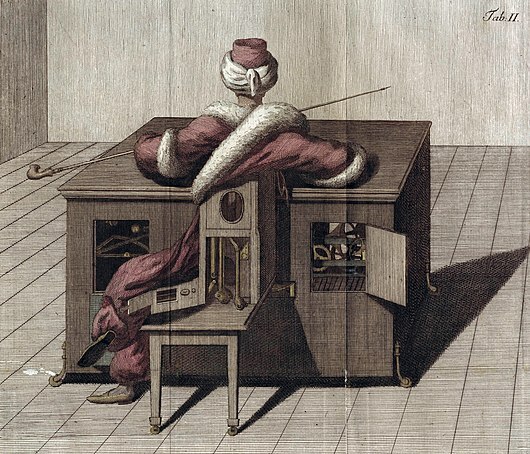 From book that tried to explain the illusions behind the Kempelen chess playing automaton (known as The Turk) after making reconstructions of the device.